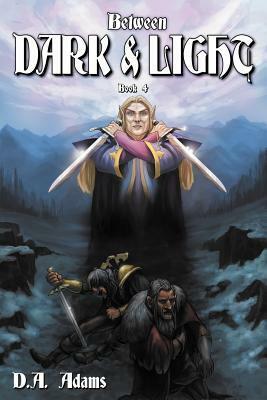 In this, the fourth book in what is shaping up to be a truly epic series on par with The Hobbit. 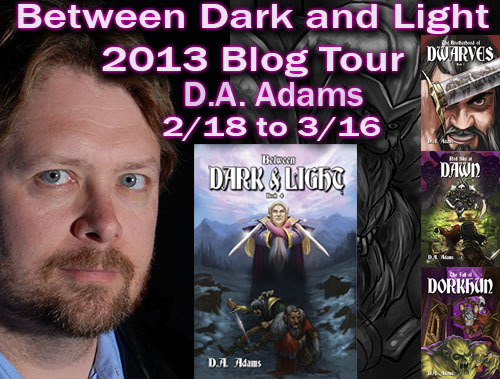 D. A. Adams plunges readers into the action packed battle scarred kingdom of Dorkun. This is the book where you get to see the different dwarven kingdoms try to come together for the good of all against a greater foe. There is no one person standing out in this tale as the "savoir" for the people. Instead readers get to see people coming together, forming new friendships, alliances, mending past hurts, and fighting together for freedom. There is a great deal of growth seen in the character of Roskin. He has become a seasoned warrior, possessing a level of self control and surety that he didn't have before. Crushaw, though human and aging is still able to hold his own, and doesn't disappoint in his role as the toughest general around. This book is a wonderful true high fantasy unseen since the likes of Paliolini. Adams is a novelist, a farmer, a professor of English, and in my estimation, a true gentleman. His breakout fantasy series, The Brotherhood of Dwarves, transcends genre and illuminates the human soul in all its flashes of glory and innumerable failings. 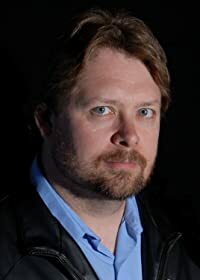 He is active on the Con circuit and has contributed writing to literary as well as fine art publications, and maintains his active blog, "The Ramblings of D. A. Adams". He lives and works in East Tennessee, and is the proud father of two boys, Collin and Finn. His ability as a storyteller breathes life into every character, and his craftsmanship as a writer makes these stories about relationships; human or otherwise.